One of a series of 6 workshop events around the country to develop and share innovative thinking around rural projects to bring full fibre connectivity to the hardest to reach locations. The DCMS Local Full Fibre Networks (LFFN) challenge fund has successfully inspired the development of a range of projects across the UK levering the delivery of full fibre connections to public sector buildings to extend the wider commercial availability of full fibre networks. Recent LFFN projects have demonstrated the potential for the approach to extend full fibre networks into rural areas. The Superfast rollout programme followed an 'inside-out’ approach – starting with the lowest cost areas to upgrade and progressing to the more difficult areas. This presented good value for money for the initial programme, but became increasingly expensive. Following the success of the LFFN programme, DCMS is now considering options for a new approach for full fibre deployment – targeting the hardest to reach areas first. Local Authorities – where is the edge and what does it look like? Network Providers – technical and commercial approaches to the new challenge. Key Projects – experience from other developing projects. The events are aimed at local authorities, network providers and communities aiming to secure a full fibre future for their areas. The format will be a series of brief presentations, followed by a panel session to answer questions and develop understanding of the issues. Directions to the venue (PDF). 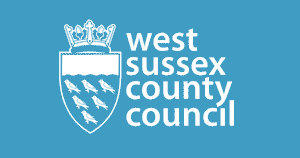 This event is organised by INCA in partnership with West Sussex County Council. For any queries about this INCA event, please contact Gill Williams. Many thanks to our event sponsors for their generous support. If you are interested in sponsoring this event please contact Gill. Photo by Phillip Capper licensed under a Creative Commons Attribution 2.0 Generic License.